I'm feeling a little bit despondent today. On Friday when I heard that yet again, the Dorset MP Christopher Chope, had blocked the progress of the anti FGM bill, I confess I stood in the rain in the car park outside M&S and wept. Has the man no moral compass? The thought that more little girls, precious in the sight of Jesus, may be maimed, scarred physically and emotionally, possibly left unable to bear children...and some may even die because of his actions.. How does this man sleep at night? And how come so many people in my town voted for him? I told Bob it was probably a good thing I am preaching in another town today. If I were here in Ferndown I might start ranting in the morning service at UCF. My heart is aching. 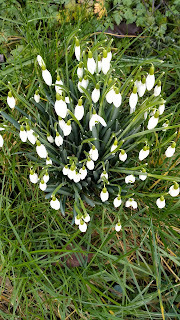 Here's a picture of the lovely snowdrops in our garden, and Graham Kendrick's prayerful song. Having read your link, it appears he basically has no real valid reason for his objections. What a crass, insensitive idiot. It does make you wonder why people voted for him. That is a beautiful song, Angela. 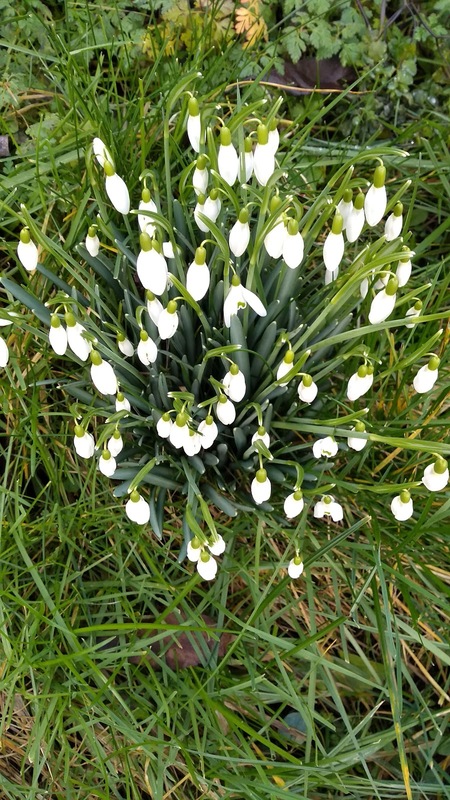 Your snowdrops are lovely, too. I'm sorry the initiative got blocked and glad you wrote to let your MP know your opinion. Amen, Angela. My firend is a retired consultant who has spoke out against FGM for years, sometimes to his detriment but he feels so strongly about the practice. My own husband, the father of a daughter, is apalled that one person can be allowed to block a bill. I wonder if our female Prime Minister will persuade the Government to overturn the bill?? Thanks for the beautiful song even though it made me cry again. It is utterly bizarre and totally upsetting to think that this man has blocked this important move for no apparent reason. How on earth are people like him in power? Our local MP was on the news talking in a very anti-German way ("Teutonic arrogance") about the boss of Airbus talking about the worry for their business through Brexit.